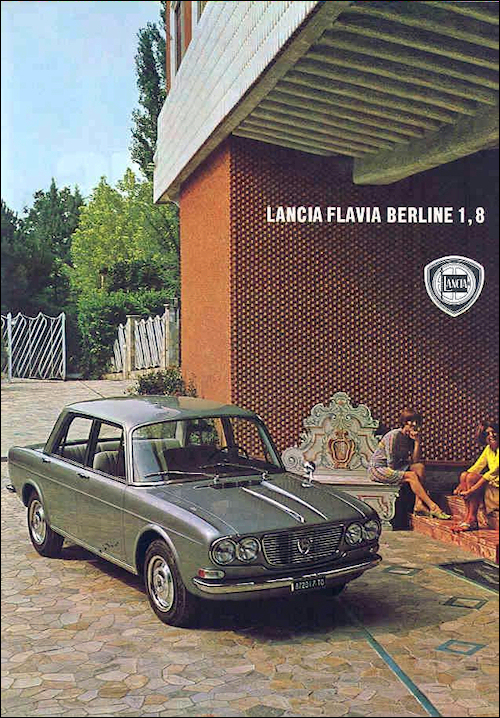 Both the Flavia and the small Fulvia have come to an adequate engine output, and since last year, the Flavia sedan also has a better proportioned body. 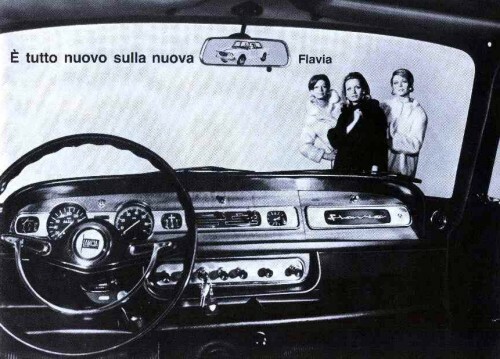 The large Flaminia also exists, but is sold only in modest quantities. 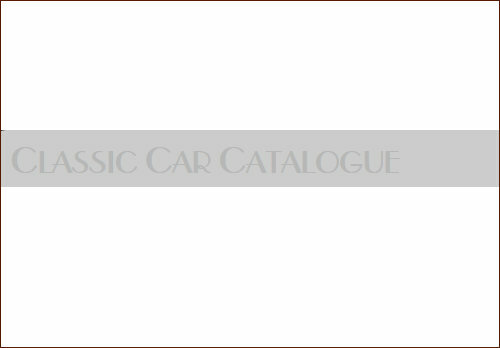 Fulvia berlina GTE with the 1298cc engine was introduced and it is produced alongside the already existing 2C and GT. 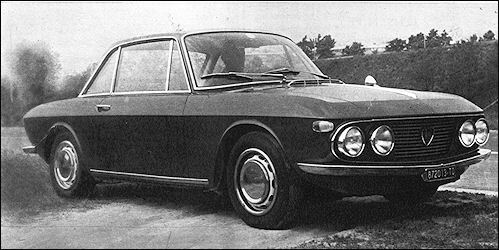 The Rallye 1.3S get 93bhp, whilst the most potent Fulvia ever built, the Coupé Rallye 1.6HF was released last year with a 1584cc 11º V4 engine producing 115bhp. Fulvia Berlina GTE have a new 1298 cc engine with 87 bhp at 6000 rpm. In addition the brakes are uprated with a brake servo. Top speed touch the 162 km/h. 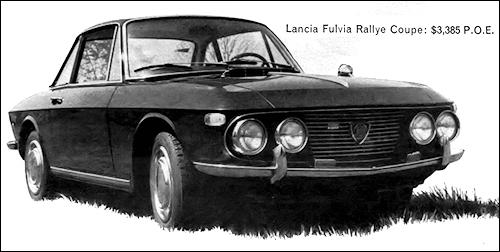 Fulvia GT V4 cyl., 12°45'28", 1231 cc, 92 bhp – end of prod. Berlina GTE (Tipo 818.310/311) with the 1298 cc (818.302) engine from the Coupé Rallye 1.3, for an output of 87 bhp at 6000 rpm. In addition the brakes are uprated with a brake servo. Rallye 1.3 V4 cyl., 1298 cc, 87 bhp - end of prod. 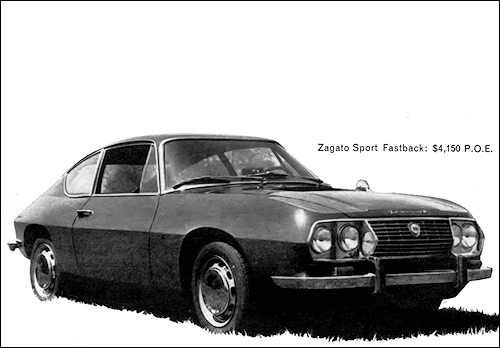 Sport Zagato 1.3 V4, 1298 cc, 87 bhp - end of prod. 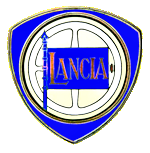 Fulvia Sport Corsa budowana przez Zagato. Pininfarina Coupé 1.8 – end of prod. 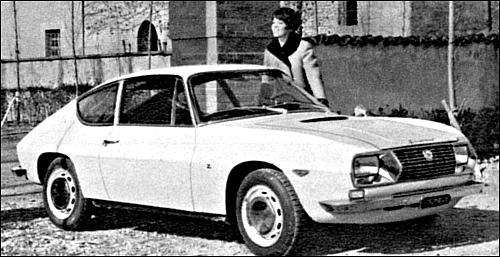 Pininfarina Coupé 1.8 Iniezione – end of prod. 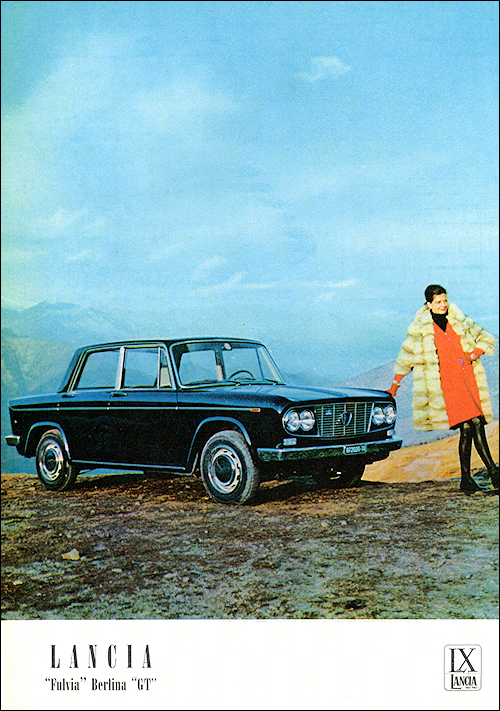 Zwycięstwo (Pat Moss) w Rajdzie Sestriere (Fulvia). 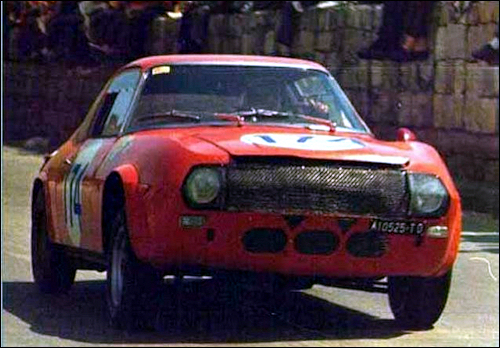 Ugo Locatelli and Cesare Poretti in the Fulvia Sport Competizione #2 were 3rd in 1001-1300 cc class at Targa Florio. 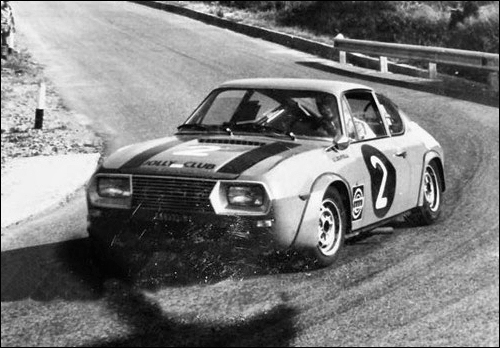 Entered by Scuderia Pegaso in Targa Florio Fulvia Sport Competizione #24 took 2nd place in 1001-1300 cc class ("Amphicar" (Eugenio Renna) - Giuseppe Garofalo). Giuseppe Giacomini and Sergio Barbasio in the Fulvia Sport Competizione finished 14th overall, 3rd in gran turismo category and 1st in 1001-1300 cc class at Targa Florio. 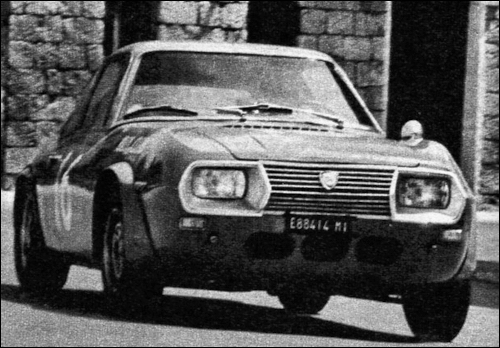 Fulvia 1401 Sport Zagato Prototipo at Targa Florio entered by HF Squadra Corse. 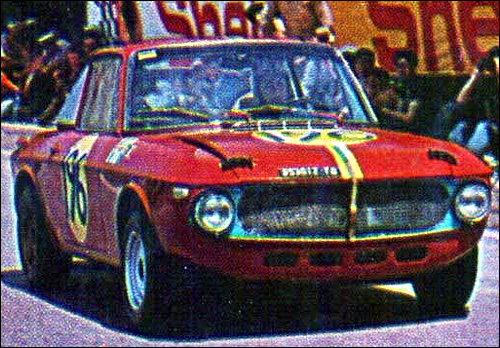 Lancia Fulvia HF 1401 Prototipo (Pat Moss / Rosadele Facetti) at Targa Florio.